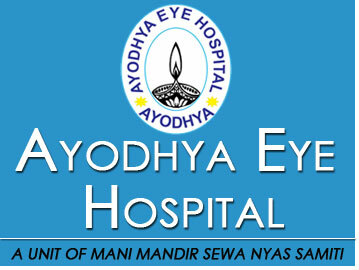 The success of the Vision Center of Ayodhya Eye Hospital (base camp) at Khalilabad led to the opening of its branch Khalilabad in district SantkabirNagar January 16, 2011. The consultants are available full-time right through the week. Within the short span of two three months, the hospital has developed OPD of 50 patients a day. The hospital caters to the eye care needs of SantkabirNagar and nearby districts of Gorakhpur, Maharajganj and SiddarathNagar covering a total population of 4.5 million. At a nominal registration fee, the patients coming to the hospital undergo a comprehensive eye-check up - not merely on the basis of the patient's complaint but also for ailments that he/she may not be aware of - and are accordingly treated in general ophthalmology. The cataract clinic is fully equipped to handle all kinds of surgeries such as Phaco & small incision. Its Operation Theatres is equipped with a state-of-the-art microscope and two operating tables. Advanced equipment for cataract and glaucoma investigation, diagnosis and surgery is available at this facility. Inagurated on 04 Feb 2014 opposite to Pindari Hospital Bansi Road Katra by honorable D.M of Basti. The Hospital is fully equipped with modern machines like Millenium Phaco machine , Slit Lamp with with Ophthalmic Chair, and proper refraction unit with Auto Refractometer and a doctor with three Refractionist and lowest Opd fees for serving the patients.